Statements made in military pension applications and apparently desertion charge appeals needed witnesses testifying to the credibility of the person making the statement. 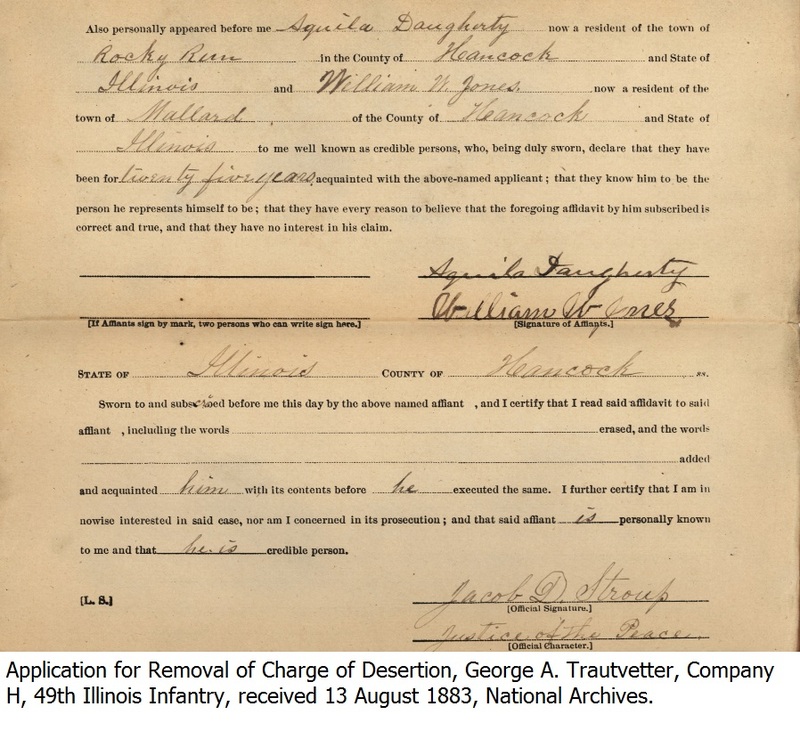 Aquila Daughtery and William W. Jones made such a statement in the August 1883 desertion appeal filed by George A. Trautvetter from Hancock County, Illinois. They were not testifying to anything regarding Trautvetter’s desertion, just that they knew Trautvetter and that he was reliable and was who he was claiming to be. The address of Rocky Run for Daughtery is a reference to the civil township in Hancock County and Mallard was the name of a post office located within Rocky Run Township. They had both known Trautvetter for at least twenty-five years, implying that they had all lived in the area since at least 1858. Trautvetter’s family is known to have settled in Rocky Run Township in 1853. It is also possible that the twenty-five year time span was approximate or a conservative estimate. If I had not known when Trautvetter settled in the area, the time frame would have been helpful. However it is worth noting that the statement only indicated how long they had known Trautvetter–it could have been that they had all lived somewhere else before moving into Hancock County. We will continue with more records from George Trautvetter’s desertion petition in future posts. 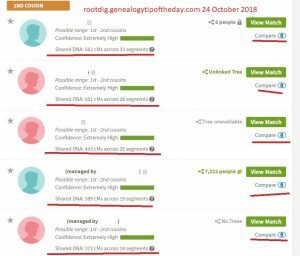 This entry was posted in Uncategorized and tagged george a trautvetter. Bookmark the permalink.